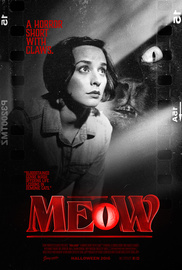 Over the course of 2017 MEOW has screened at over 30 festivals worldwide, gathering praise from genre fans and collecting numerous awards. The film is currently finishing its festival run, and funds collected from purchases help pay for expenses incurred during this period. In the summer of 2018, once the festival run is complete, MEOW will hit the internet free for the public. Until then, your donations and support are appreciated.